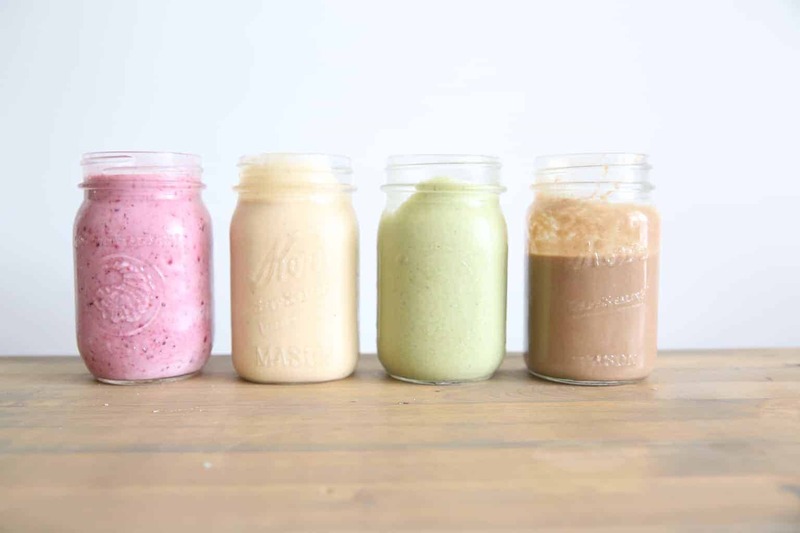 LEARN HOW TO ADD FLAVOR TO YOUR MORNING SMOOTHIE WITH THESE 5 HEALTHY SMOOTHIES WITH ESSENTIAL OILS. Every night when I lay down for bed I tell myself that tomorrow is going to be less chaotic. I am going to slow down and enjoy the little things. But then the morning comes and the craziness begins. I swear they take turns crying! As soon as I have one kid content the next one has a problem. Don’t get me wrong I love this little life God has blessed me with but sometimes that means I don’t have time for mopping (even when it’s way overdue) or eating. Smoothies have become a staple for me because I can load them with enough nutritions and vitamins to count as a meal. And the best part, I can eat them on the go! BASE- This can vary depending on preference. The base is the liquid used in the smoothie. You can use water, juice, coconut milk, almond milk, kefir, or yogurt for the base. The milk products make for a much creamier smoothie. 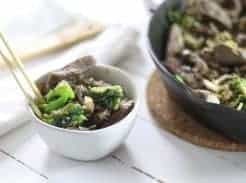 Adding yogurt and kefir adds protein and probiotics for a healthy, gut friendly, meal. My favorite is definitely plain homemade yogurt. FRUIT- I mainly use frozen fruit when making a smoothie, but fresh fruit works too. Frozen fruit is going to give it more of the traditonal smoothie texture. 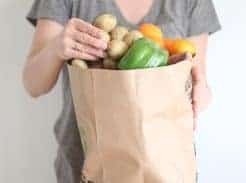 Depending on which fruit is in season or on sale at the local store will depend on the type of smoothies we are eating. 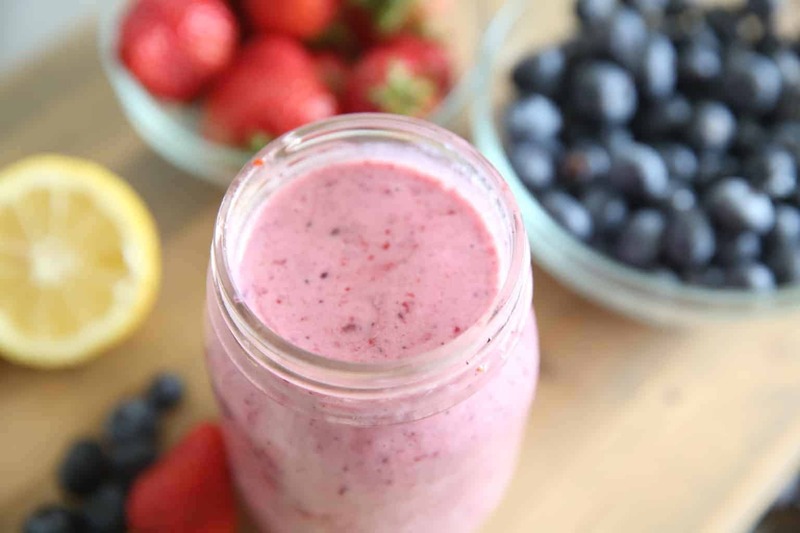 Raspberries, strawberries, blueberries, cranberries, and bananas are some of our favorite fruits for smoothies! Little tip, buy a lot of bananas when they go on sale, let them sit on the counter until they are very ripe, peel, break in half, and freeze in a gallon size zip lock bags. The riper the banana the sweeter. Where we live bananas are much cheaper than berries so I like to use them to be more cost efficient. SWEETNER- This is optional, because the fruit already adds a natural sweet flavor. If you like your smoothies sweeter, keep reading. My favorite natural sweetener is honey. You can also use coconut sugar, stevia, or pure maple syrup. BLENDER– Alright folks this really matters and I will tell you that my blender isn’t the one you want. We used to have a ninja. After several years of making smoothies every day, it broke. I tried replacing it with a cheap blender from walmart; bad idea. It gets the job done but takes double the time. As soon as this one breaks I am going back to the ninja for sure. The ninja makes a much creamier and thicker smoothie. 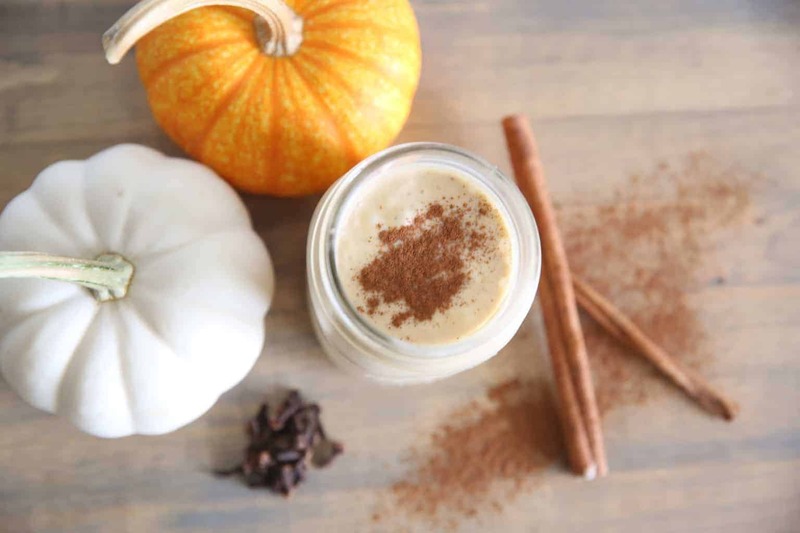 This smoothie is delicious, creamy, and perfect for fall. 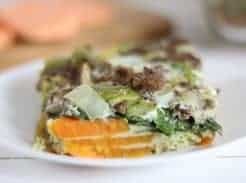 And the best part, this one has a vegetable in it and your kids won’t even notice. 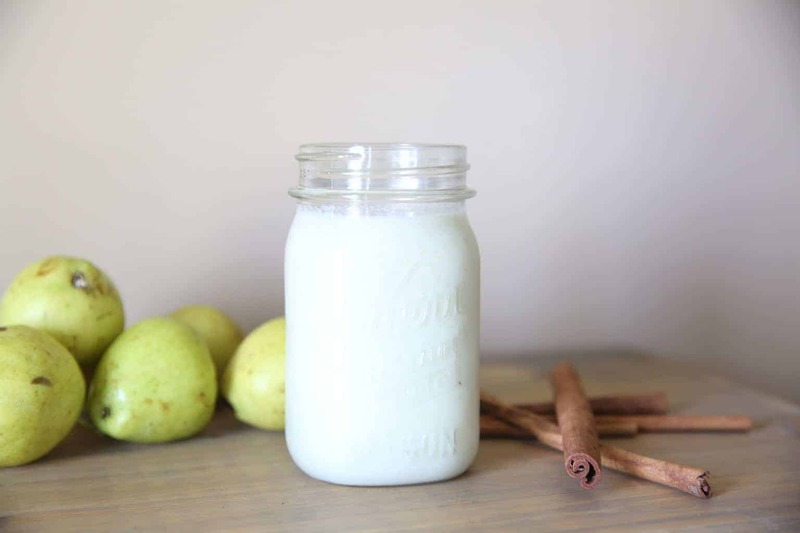 Enjoy this smoothie as a fall treat or healthy breakfast. Blend on high until all ingredients are well combined and smooth. Garnish with a shake of ground cinnamon on top and serve immediately. I love this simple smoothie. Pears grow locally here this time of year and we stock up. I cut them in slices and freeze them with this smoothie in mind. You can substitute apples instead of pears for a similar taste. 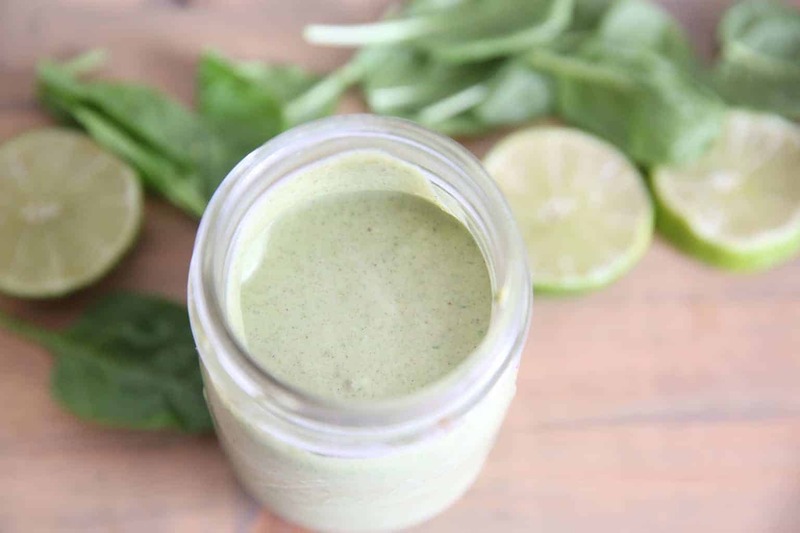 Green smoothies are a perfect way to sneak more vegetables into your diet. The frozen mangos and lime essential oil pairs well together and really disguises the spinach taste. My kids even love this one! 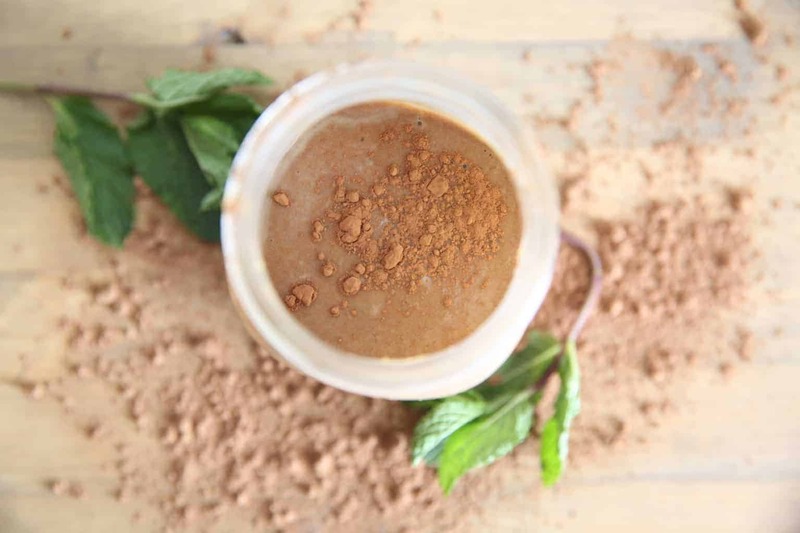 If you are a mint chocolate fan this smoothie will be your jam. I for one, am obsessed with mint chocalate and this is by far my favorite smoothie. The avocado and peanut butter make the perfect texture and adds a lot of flavor. 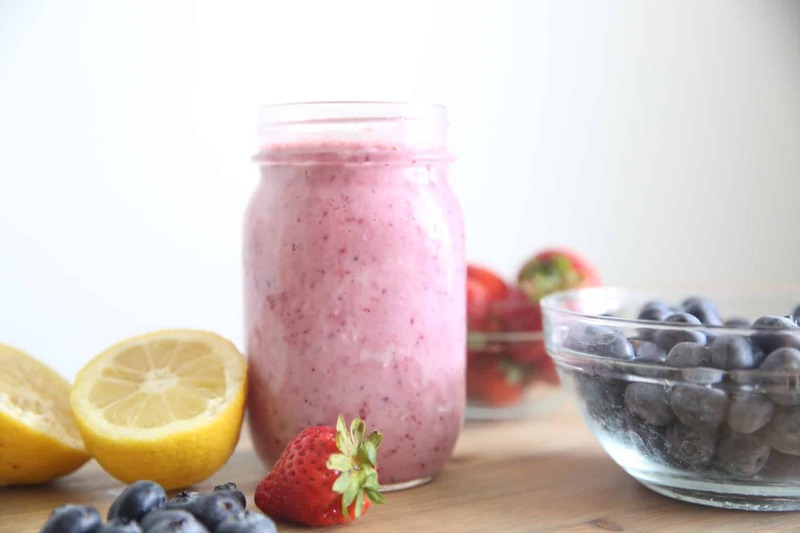 The simple drop of lemon essential oil adds delicious flavor to this fruit smoothie. This one is very refreshing and perfect for starting the day off right. Have you ever made smoothies with essential oils? 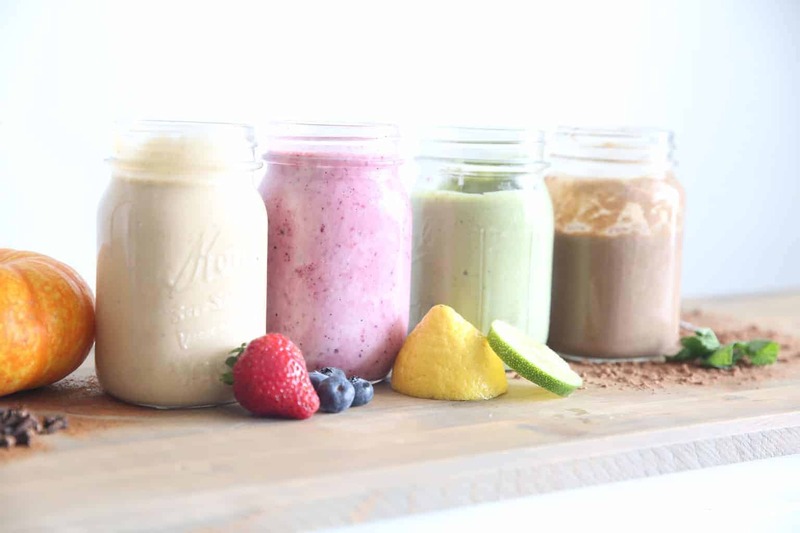 Which smoothie is your favorite? Share in the comments!